Promotes food & wine events and tours in Tuscany, Florence, Chianti Classico and Brunello di Montalcino area. Florence top attractions and fine shopping. Italian fashion designer Marina Mansanta specializes in bridal dresses and wedding gowns. Haute couture studio is based 20-minutes drive from Florence, Italy. Strike some of the best travel deals online. Check out top deals, family travel deals and romantic getaways by CheapOair.com. 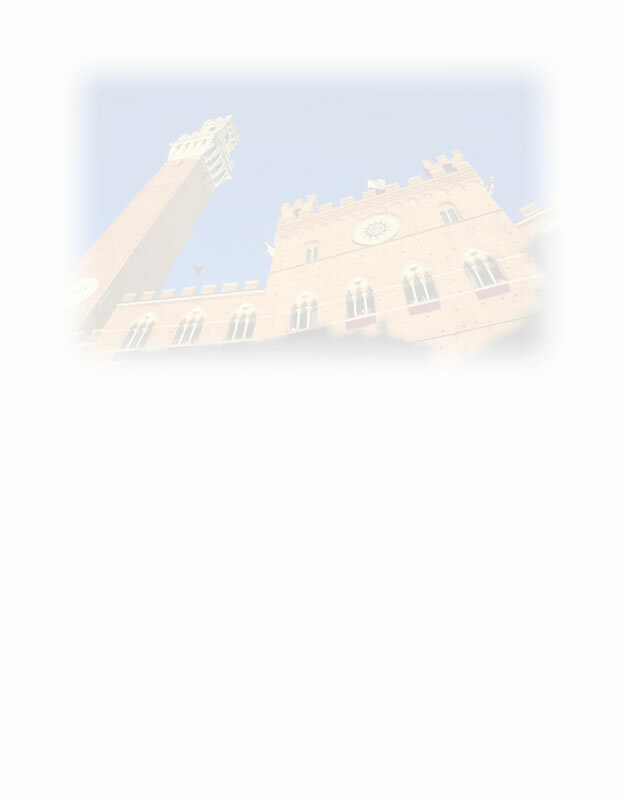 Travel guide to Tuscany offering information on itineraries and accommodations all around Tuscany. Online Travel Service provides online travel links and resources. Villa Catignano: wonderful villa with apartments, garden and swimming pool in the heart of Tuscany's country, the beautiful Chianti. Fattoria Catignano, close to Siena: country residence offering vacation apartments for rent in a typical, beautifully restored Tuscany country house. Know about the class hotels and accommodation centers in the city of fashion and design, Milan, which are adequately suited for business as well as leisure travelers. The staying facilities in Milan include hotels, pg houses, apartments and hostels. Villas, apartments and farmhouses to rent for a perfect holiday in Tuscany, Italy. Exclusive villas and vacation homes for rent in a beautiful estate, located between Florence and Arezzo. Property owned by the Ferragamo Family. Windows on Italy is a property management company and tourist rental agency specialized in the rental of prestigious private properties throughout Italy and especially in Florence and Tuscany. Rome apartments, Rentals in Rome, Apartments in Rome Italy for your holiday and business travels. Short term rentals with online booking. Number 1 in customer care. Florence apartment rental and accommodation in Florence Italy. 2 self catering apartments. Accommodation and lodging in the historical centre of Florence, area S. Ambrogio, S. Croce, S. Annunziata. Hotel accommodation provided by Hotel Accademia, 2-Star hotel in the city center, close to the train station. Claudia Ferri's Bed & Breakfast is located 5 minutes away from Pisa city center; it has four nice rooms in a large, quiet apartment. Rentals of apartments for both short and long term: San Marco & Allegri apartments, Florence city center. Holiday homes vacation rentals in Florence. Apartments in Florence for your vacations. Search between our varied affordable offers. Excellent service with Tuscanyaccommodations.org. Selection of Villas in Tuscany and Chianti - Tuscany Villa Rentals. Looking for perfect Holiday in Barcelona, Madrid, Seville, Granada, Valencia, Isla de Tenerife or all over Spain? Visit us and deal & shop directly with owners. New houses and homes in Buckinghamshire, Surrey & Bristol from Linden Homes. Property and flats to let in Edinburgh and Glasgow, Scotland. Online reservation for budget accommodation in the most visited destinations in Europe: London, Paris and Barcelona. List of hotels, apartments and hostels. Stay in a villa in Esentepe if you are coming to North Cyprus for golf holidays. Esentepe villas are only a few minutes drive to the 18 hole Korineum golf course. Pacific Rent A Car offers car rentals in Ercan Airport and Kyrenia. Loch Ness Hotel accommodation on the Great Glen Way, Scotland. Rehoboth Beachfront Hotels offers the best rates on hotels near Rehoboth Beach. All of our hotels have been inspected and rated by AAA and the Mobile Travel Guide, the authorities in hotel inspection. Secure online booking. Real Estate in Maryland, Virgina & Washington D.C.
Real estate FAQ's and video tutorials for new home buyers in Maryland, Virginia, and Washington DC, as well as open access to MLS listings for those areas. Airline tickets booking, hotels reservation, car rentals, sights & short breaks to various holiday India destinations. Search various types of vacation rentals and condos by owners in various destinations in Hawaii-HI, USA. Select a Florida vacation rental from an extensive collection of vacation rentals including condos, villas, cabins, private houses and town homes for your Sunshine State Getaway. Visit us for nice collection of Colorado vacation rental homes, villas, condos, and cottages directly offered by property owners. Directory of more than 1200 Mexico vacation rental homes, condos, villas, cabins and cottages by owners. ETS assists you in new, renewal and lost passport services and visa applications. Visit online and download passport, visa application forms, requirements and valuable information.